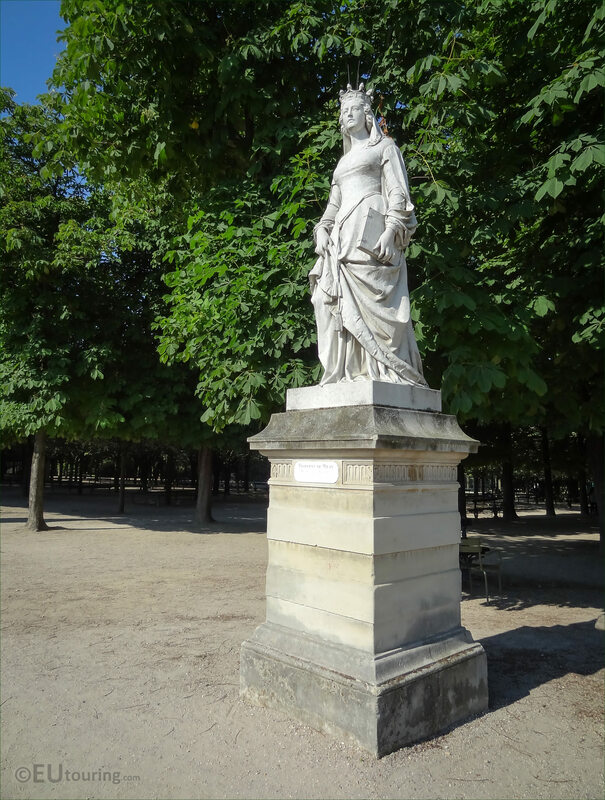 Again we were in the Jardin du Luxembourg in the 6th Arrondissement of Paris when we took these high definition photos showing the statue of Valentine de Milan, the Duchess of Orleans, which was sculpted by Victor Huguenin. This first HD statue of the Duchess of Orleans, is part of the series of marble statues called the Reines de France and Femmes Illustres, which translates in English to the Queens of France and Famous Women, and these were chosen by King Louis Philippe I to adorn the Luxembourg Gardens. 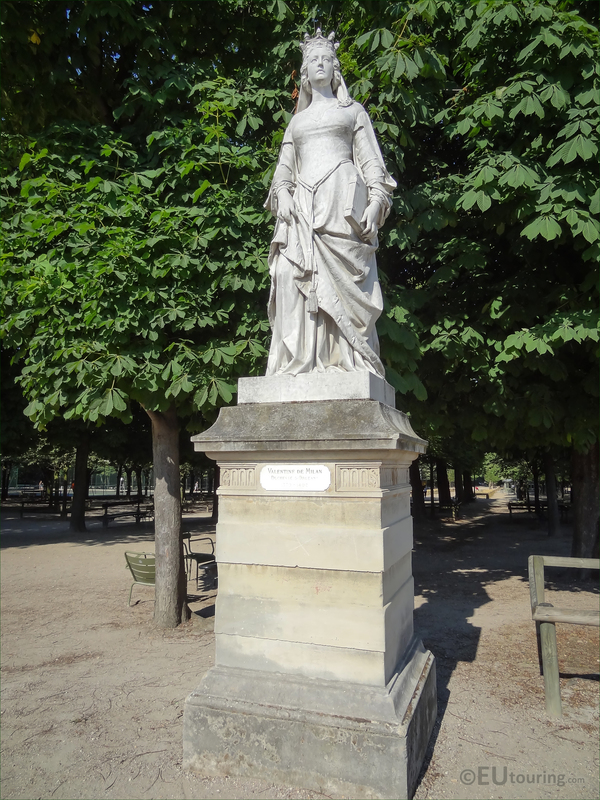 Now this particular marble statue was commissioned by the Interior Minister on the 16th January 1843 for the sum of 12,000 French Francs and the artist chosen to produce this was Jean Pierre Victor Huguenin, who was born in February 1802 and studied at the Ecole des Beaux Arts to become a French sculptor. 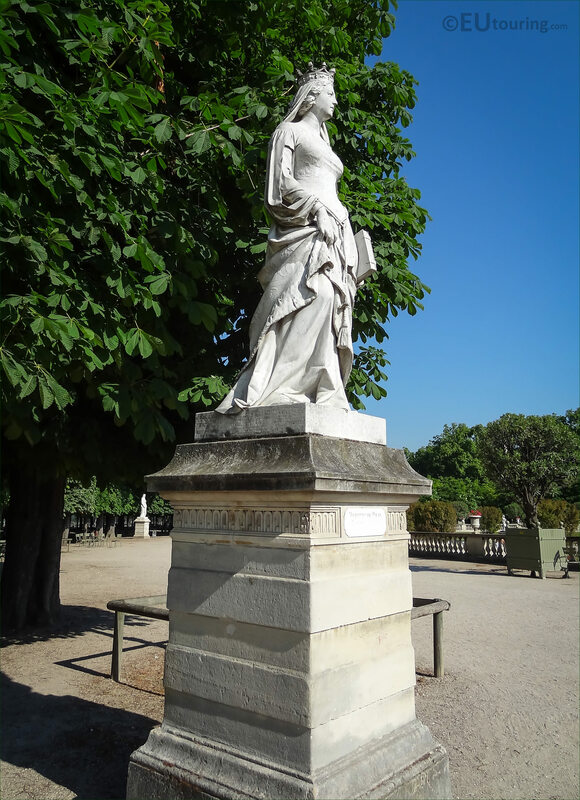 The marble statue of Valentine de Milan, Duchess of Orleans, stands at a height of 2.4 metres, not including the stone base and completed in 1846 this was presented at the Paris Salon for French artists in the same year, before being placed in the Jardin du Luxembourg. 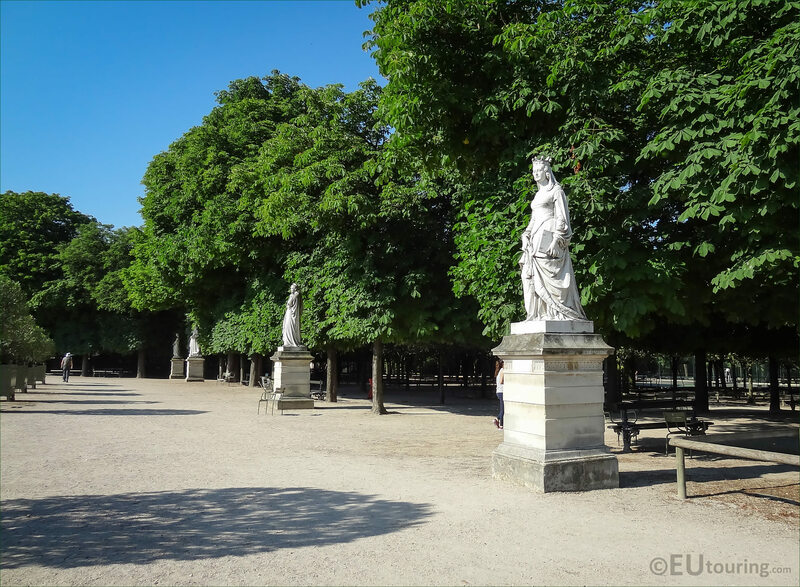 So in this photo you can see part of the Western terrace at the Luxembourg Gardens, which as you can tell has several statues all in a line, and these are all part of the series of Queens of France and Famous Women that we mentioned earlier, with the closest one being of the Duchess of Orleans. 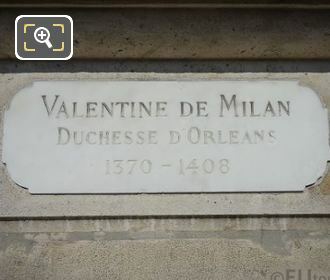 And in this high definition photo you can see a close up showing the plaque on the base of the statue, and although this states Valentine de Milan, referring to where she was born, she was actually called Valentina Visconti, the Sovereign Countess of Vertus, and later Duchess d'Orleans. 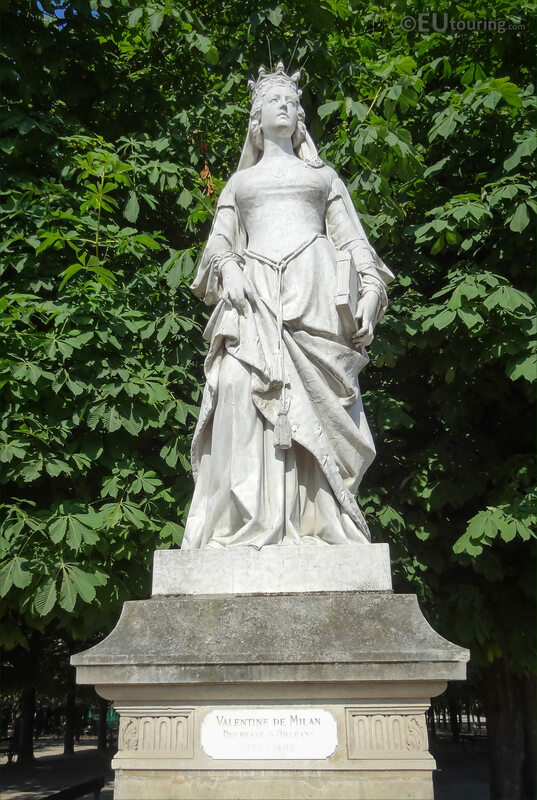 Also you can see here her year of birth being 1370, yet some sources state 1371, as the exact date is unknown, yet she passed away in December 1408 at Blois in France. 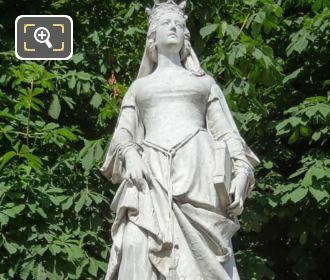 But it was through her marriage to Louis de Valois, who was the younger brother of King Charles VI of France, that she became the Duchess of Orleans when he exchanged the Duchy of Touraine for the Duchy of Orleans in 1392, yet please do not get her confused within another woman called Valentina Visconti, who was the Queen of Cyprus, also born centuries ago in Milan. 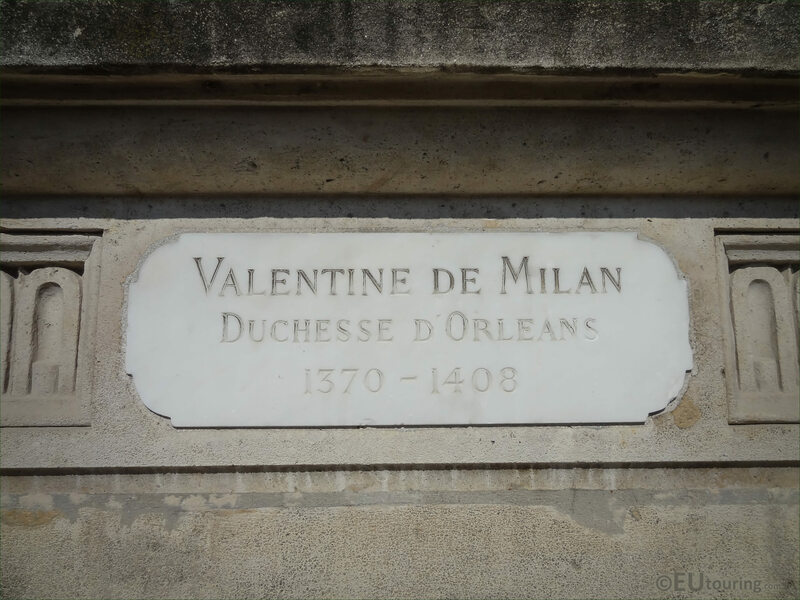 Now Valentina Visconti, or Valentine of Milan, Duchess of Orleans, had several children with Louis de Valois, with one of them being Charles, who became the Duke of Orleans after his father was murdered by John the Fearless, and he became a renowned Medieval French poet, but also the father of King Louis XII of France. 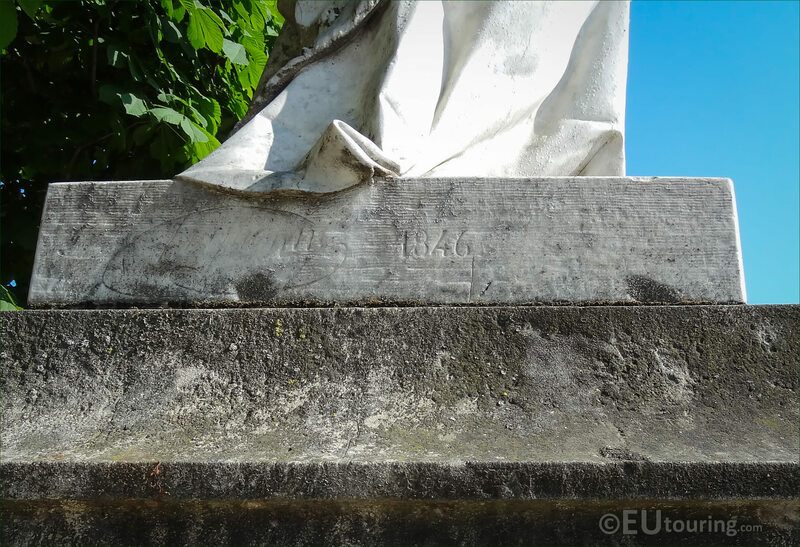 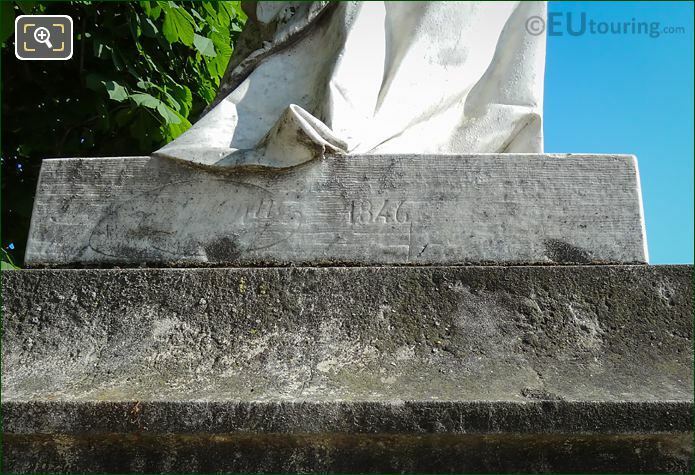 And in this last close up photo you can see that the year 1846 has been inscribed on to the base of the marble statue by the artist Jean Pierre Victor Huguenin, who received several orders from King Louis Philippe I for sculptures and statues at the Chateau de Versailles, the Palais du Louvre, and of course this one at the Jardin du Luxembourg. 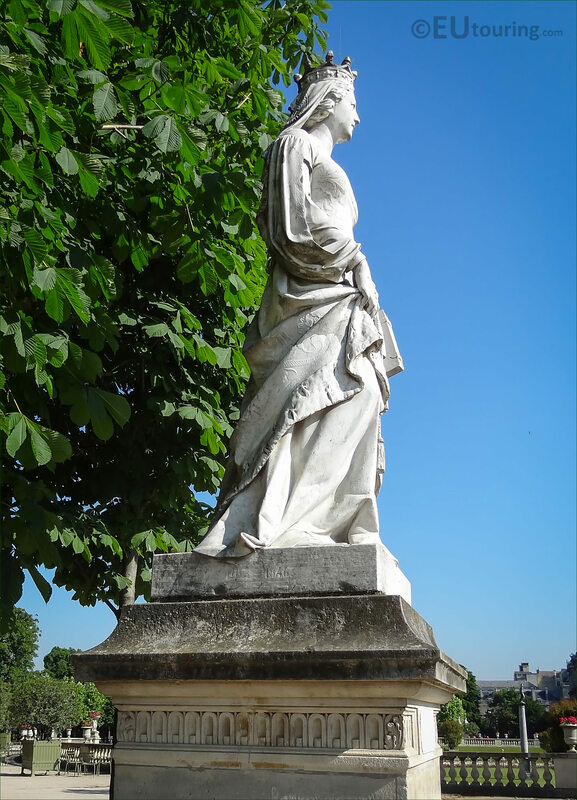 But in his later career, prior to passing away in January 1860, Victor Huguenin also took on the decoration of the summer residence belonging to Napoleon III and Empress Eugenie.